This healing salve packs both the power of a drawing salve and the power of plants to handle the toughest skin conditions. When tweezers just aren't enough, drawing salves can pull the splinter or foreign object to the skin surface. 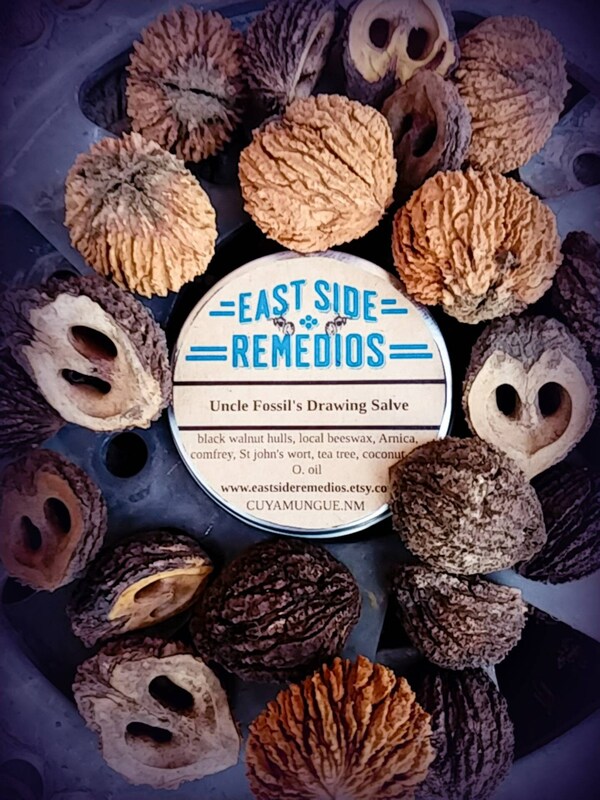 We make our drawing salve based on a family recipe but add a modem twist. Comfrey, buckwheat leaves and tea tree are astringents that can help heal minor wounds and ease inflammation. Activated Charcoal has been used to remove toxins from the body. When applied to the skin, it can pull toxins from the pores and that same action seems to help with splinters. Clay has disinfectant properties and can stimulate healing. Finally creosote and propolis are added to round out the healing combination. Apply directly to minor wounds, blisters, athletes foot, splinters. Drawing salves can stain so we recommend a bandage or dark colored sock be used after application.